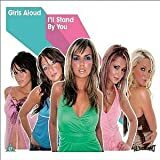 These are lyrics by Girls Aloud that we think are kind of funny. Girls Aloud's, "No Good Advice"
Don't need to count those dirty sheep! This line just cracks me up. I mean, why are they dirty? Are they showing off their bums or something? At least the girls are living up to the popular scathing gibes if these few lines are anything to go by. Sounds like Cheryl Tweedy's heading a slapper convention and it's had some hyper-positive response!